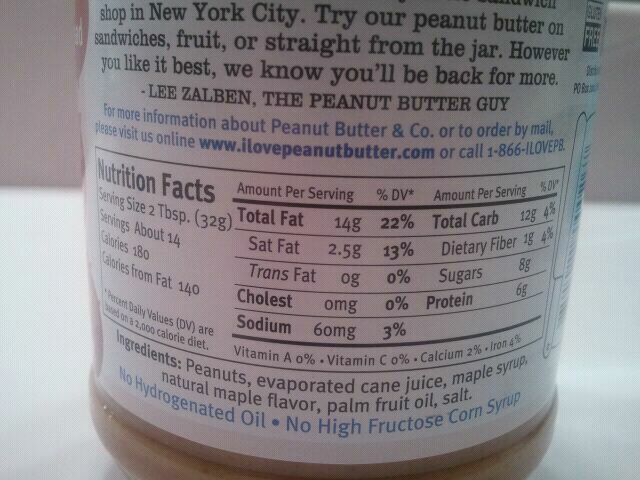 Categories: Peanut Butter & Co. 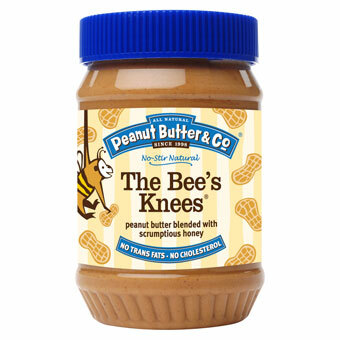 Along with the delicious Cinna Raisin Swirl Peanut Butter I won a little while ago, my 2nd jar I won was the Bees Knees from Peanut Butter & Co. 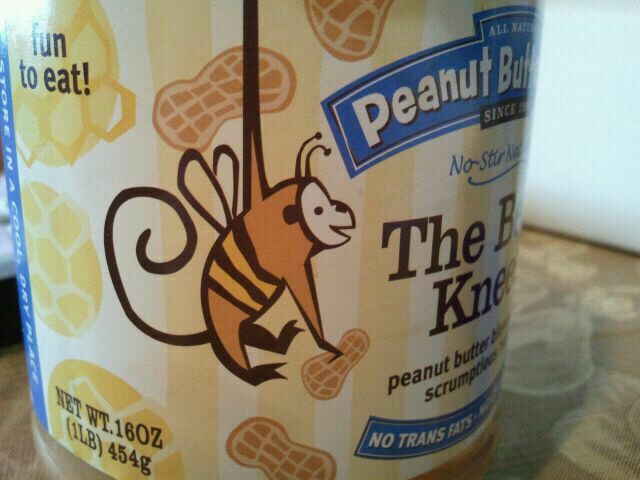 I even thought the label was cute- the monkey looks like a bee! 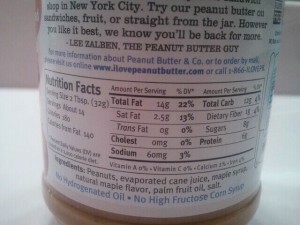 2 Tbsp is 180 calories, 14 grams of fat, 12 grams of carbohydrates, 1 gram of fiber, 8 grams of sugar, and 6 grams of protein. 4 1/2 stars,Gluten Free,Nut Butters, Toppings & Spreads,Peanut Butter & Co. I won an awesome contest where I got 3 free jars of Peanut Butter & Co. Peanut Butter. Of the three I chose, I picked one of my favorites, White Chocolate Wonderful, and this one, Cinnamon Raisin Swirl. 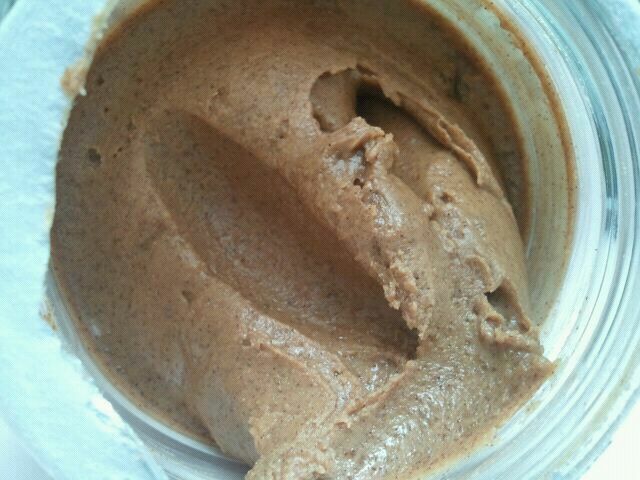 I opened my jar, and saw no oil separation, so that was a plus. 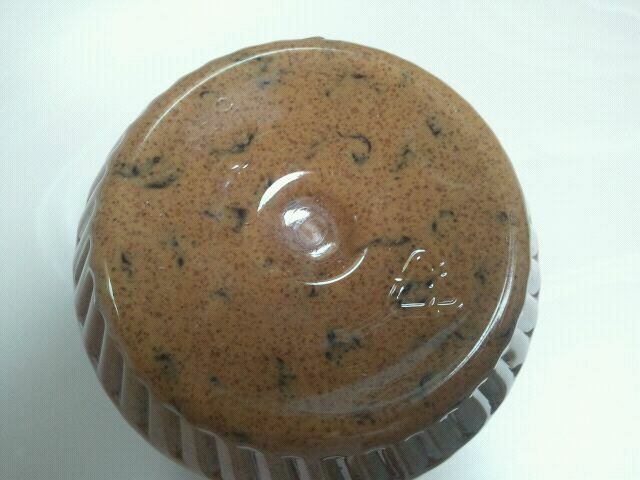 Another thing I noticed, was a lot of the raisins were on the bottom! Here’s a pic of the bottom of my jar, so you can see for yourself. Even after eating a serving or so, there still was very minimal raisins on top. I wasn’t really complaining however, because it’s not like I couldn’t easily stir it. AND, the peanut butter by itself, even without the raisins, was so delicious! 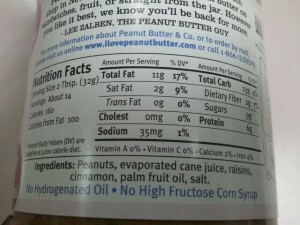 And here’s a snapshot of the nutritional facts. Two words to describe it? 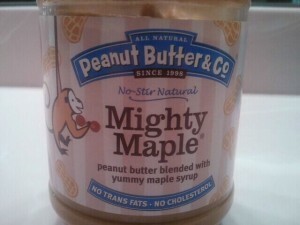 Incredibly delicious. 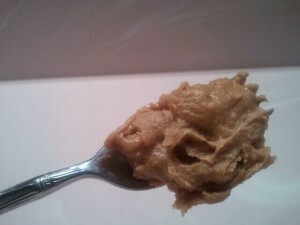 What I liked about it, is that it is a natural peanut butter, AND there was hardly ANY oil separation! Being the white chocolate lover that I am, I had a feeling I was going to like this peanut butter! 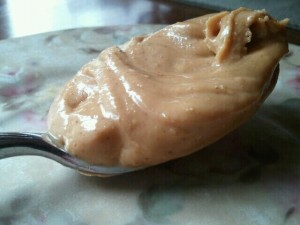 It was smooth, sweet and creamy, and had a light vanilla flavor to it. I didn’t need anything else but a spoon to enjoy it (as that’s how I like most of my nut butters!). It really tasted as if someone melted a chunk of white chocolate into a jar of peanut butter, and turned a savory spread into something dessertlike. 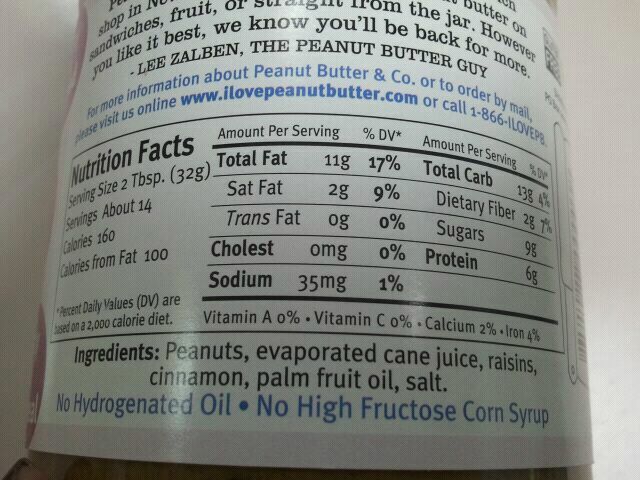 Ever had a peanut butter by Peanut Butter & Co.? Which was your favorite? 2 tablespoons is 180 calories, 14 grams of fat (3 saturated), 11 grams of carbohydrates, 1 gram of fiber, 7 grams of sugar and 6 grams of protein.